After the prolonged Portuguese presence, initially in the south and centre of Japan (from 1543 to 1639), diplomatic relations between the two countries were formally established by the Treaty of Peace, Friendship and Commerce, signed in 1860 by King Pedro V and the Emperor Meiji. Due to the II World War and the occupation of East-Timor by Japanese military forces, the bilateral relations between Portugal and Japan were temporarily interrupted and re-established again in 1953. Portugal reopened its Legation during that same year and, the Japanese reciprocally in 1954. The Portuguese Representation was promoted to Embassy level in 1958. Bilateral relations have been marked by the interest of both countries to deepen their bilateral links in all sectors, intensifying also the relations in the framework of international organizations. 1993 was the year of the Celebration of the 450 st years arrival of the Portuguese to Japan through a set of events organized in both countries and which culminated with the visits of Prince Takamado to Portugal and President Mário Soares to Japan. In Japan, several traditional events keep feeding the memory of the ancient luso-japanese historical links, such as the “Festival da Espingarda” (“Rifle Festival”), in Tanegashima Island and the Namban Festival of Sakai, in the Prefecture of Osaka, place also linked to the initial contacts of both countries. Both countries established protocols between autarchies, creating twin cities which share a special link in promoting youth, business, culture and famous entities mutual interchange and friendship. Both countries accept the principle of visa exemption for their national citizens, according to a Exchange of Notes Agreement signed in 1974. Regarding the formal visits there has been throughout the years a significant interchange of contacts. It is worth emphasising the visit of State, in October 1993 of President Mário Soares, who visited several times Japan, in different formats and of several Japanese Prime-Ministers who visited Portugal. It should also be mentioned the visit to Portugal on the occasion of Expo’98 of Emperor Akihito and Empress Michiko, and also the Crown Prince Naruhito in 2004. Portugal was present on the World Exhibitions of Osaka in 1970, and of Aichi in 2005. The President of the Republic Jorge Sampaio visited this last Exhibition during May of that same year. At the Inauguration of Professor Aníbal António Cavaco Silva as President of the Republic, a special messenger was also present, Mr. Yamaguchi, Secretary of State of the Presidency of the Council of Ministers of Japan. At the ministerial level, it is worth emphasizing, on the Japanese side, the visit to Portugal in January 2002, of the Minister of Foreign Affairs Tanaka, the visit of the Minister of State for the Regulating Reform, Mr. Chuma, in 2006. On the Portuguese side, the Minister of Foreign Affairs Jaime Gama visited Japan in June 1997, the Minister of Foreign Affairs Teresa Gouveia in April 2004 and the Minister of State and foreign Affairs Luís Amado in February 2007. In the context of the Portuguese Language and Culture teaching there are presently five universities conferring the graduation of Portuguese: four in luso-brazilian studies and only one in Portuguese Language, making up almost a thousand students. Other eighteen institutions of higher education teach Portuguese as second foreign Language and/or option Language, making up almost 2000 students of Portuguese. Since 1993, the Portuguese Culture Centre in Tokyo (headquarters at the Chancellery of the Portuguese Embassy) looks forward to giving an answer to the increasing interest of the Japanese public for the Portuguese Culture, functioning as a coordinator pole between the Japanese and the Portuguese organisms in order to materialize cultural events. 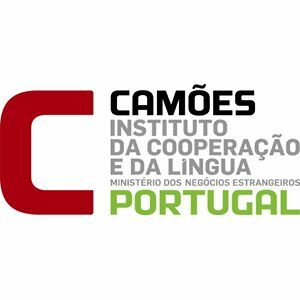 In what concerns the Portuguese Language teaching, its intervention is made in a free course of Portuguese Culture and Language/Portuguese Studies, this year on its 10th Edition. (Rodrigues Prize). In Japan there is a Japan-Portugal Friendship Parliamentary League, as well as Luso-Japanese Societies established in 8 cities. The Friendship Parliamentary League, founded in 1985, whose President is the former Minister of Finances of Koizumi government, the deputy Sadakazu Tanigaki, aims to promote the knowledge and friendship with our country in the Assembly. It undertook several actions in the past, such as the restoration of works of art illustrating the Luso-Japanese relations, the study of documents on the history of bilateral relations and the organization of visits of Japanese deputies to Portugal. Since August 2006 there is also a Parliamentary Group for Portugal-Japan Friendship in the Portuguese Parliament, which was created from the will to deepen cooperation among Parliaments of both countries.